Hello friends! 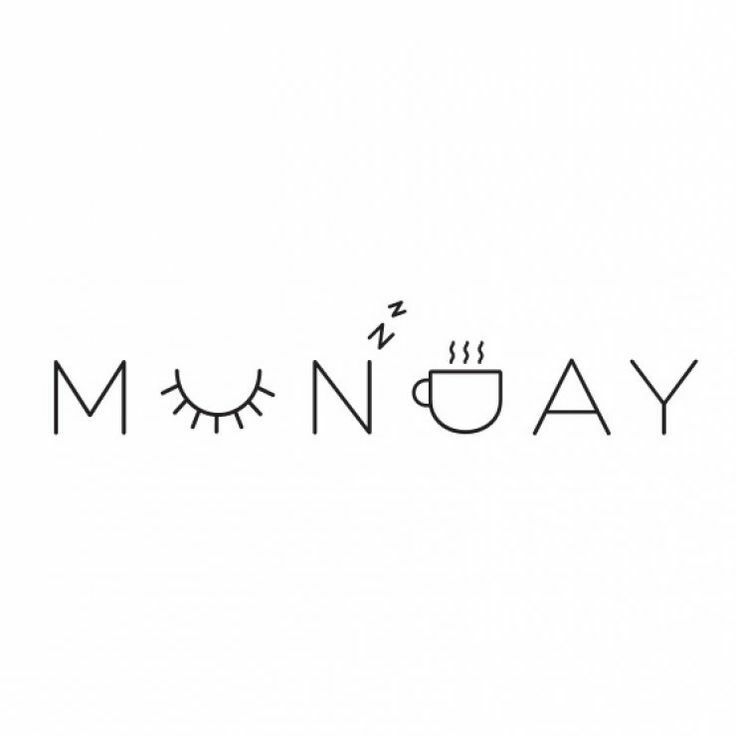 It's been a while since I've done a Monday Must Haves post, and I'm sorry! I know a lot of you out there really like them. I just got super busy going to Wales, starting my last semester of university and having a job. But all of that aside I hope that the next few months are less busy and I can do these posts more often! The holiday season is officially upon us and I can't wait for all of the fun things that comes with Thanksgiving and Christmas. Also quite strangely, Jacksonville is experiencing a "cold front." So it's below 60 degrees as I write this, but they say that the cold isn't going to stay all week, by the middle of the week it's supposed to be back up in the 80's. NO THANK YOU! Anyways, as always we are going to have the same five topics, but if you're new to Football and Stilettos those topics are sports, social media, hair and makeup, fashion and music. The NFL season is well underway! It's no secret around these parts that the Jaguars aren't very good, but there are a lot of bright spots on the team. I really believe in the system and coaching ability of Gus Bradley and the rest of the coaching staff. I also have a lot of faith in Blake Bortles. I know it's hard to get behind him when every game there are passes that are way off target and interceptions, but every great quarterback had a rough rookie season. This isn't uncommon. This week the Jags are traveling to London to play at one of the most beautiful stadiums in the world, Wembley Stadium, and I wish I was going! This game is going to be a good one and if you are going to be up at 9:30 AM, Sunday morning. I love Wales. Everyone knows that. If you don't, now you do. I love being able to use Instagram to follow people who live in Wales and take pictures there constantly and posts them to the social media site. One of my favorite photographers of Wales and the beauty that's there is Will Bendall. If you want to see the magnificence that is Wales and see it almost everyday go follow Bendall! He's an incredible photographer and his pictures brings back so many memories of when I went to Llantwit Fardre and Caernarfon. So the past two weeks I've drastically changed my hair and I love it!! I had never put highlights, dyed, or done anything besides cut my hair. I have super dark brown hair, and I've spent six hours with my hair stylist over the past two Saturdays to go ombre! The bottom of my hair is now this super cool caramel color. 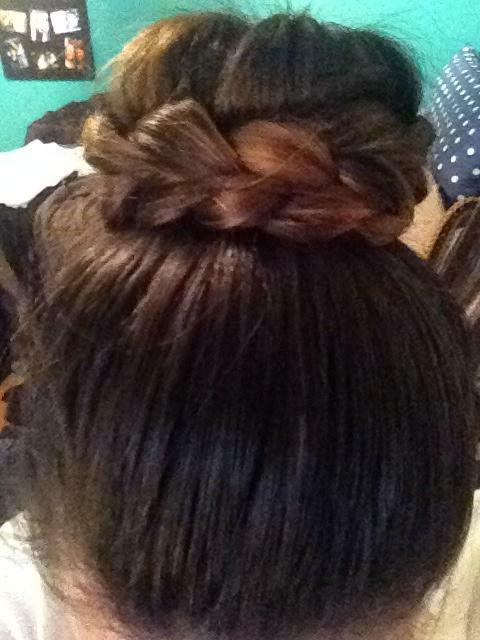 Recently I've been loving putting my hair up in a bun with a braid around it and it looks something like this! While this may look difficult, it's really not thanks to those super handy bun-donut things. Then after you get the actual bun part done, you take the leftover hair and braid it and pin it around the bun to make this masterpiece! This leopard print trench from bebe is only $179.00 and is so cute!! I love the corset tie up in the back and the front is just as beautiful! I would love to have this in my closet right now! For those of you who might be scared of a leopard print coat, the best way I would dress it would be all black, then just add a bit of color with some red shoes, or a really cool necklace. I've become a bit of a basic white girl when it comes to music lately. I mean when you go to see the world's biggest boyband with your best friend and get post-concert depression, then Taylor Swift drops her new album a few weeks later it's bound to happen. 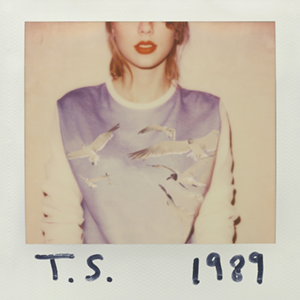 I'm pretty sure everyone in the world has heard "1989" by now, but it still is my must-have for this week! "Style" and "Blank Space" are by far my favorite songs on the record! They are just songs that you can roll the windows down, sing really loud, dance around your room, and make a fool of yourself because they are so good! So if you've been living under a rock for the past week, please come out and buy 1989. You won't regret it! There's this week's Monday Must-Haves! Are you going to London to see the Jags play? Are you going to try the braided bun? If you find a leopard print coat let me know! And continue to channel your basic white girl by listening to Taylor Swift, because let's be real, you know you love her! So You Think Breaking Into Sports Is Easy?